Despite it’s proud ancient history, Lezhe sometimes has the feel of being a new city. This new-ness is largely due to the fact that the entire old city was destroyed in an earthquake in the 1970s. Since that time, several waves of new development have brought a hurried and varied selection of architectural styles to town, creating an eclectic mix of haphazard design. Somehow, it all works together. Given this new development, Lezha has it all – from communist-block apartment buildings to Illyrian castles to 1970s cement sculptured façades to coffee bars with soccer ball themed entrances. 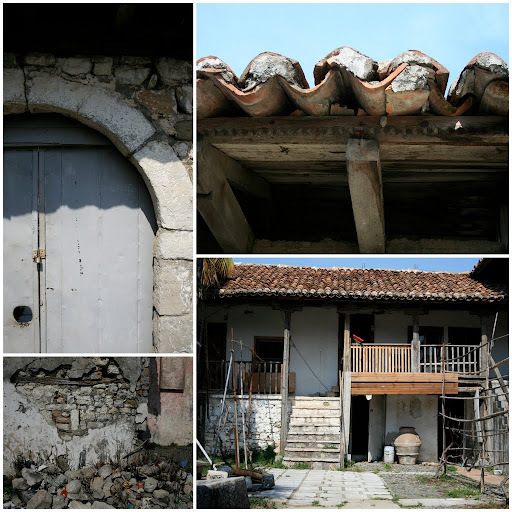 In this first of a series of posts, I’ll give you a glimpse at my favorites from the architectural mix that I call home. Brian’s Bar // This football-themed bar takes the sport and Brian (a soccer star) seriously. It has a soccer-ball entrance and peace-sign hand chairs inside, wallpaper that says “Brian’s” in every font and color imaginable, larger than life photos of Brian in action and even a trophy case displaying his shoes. 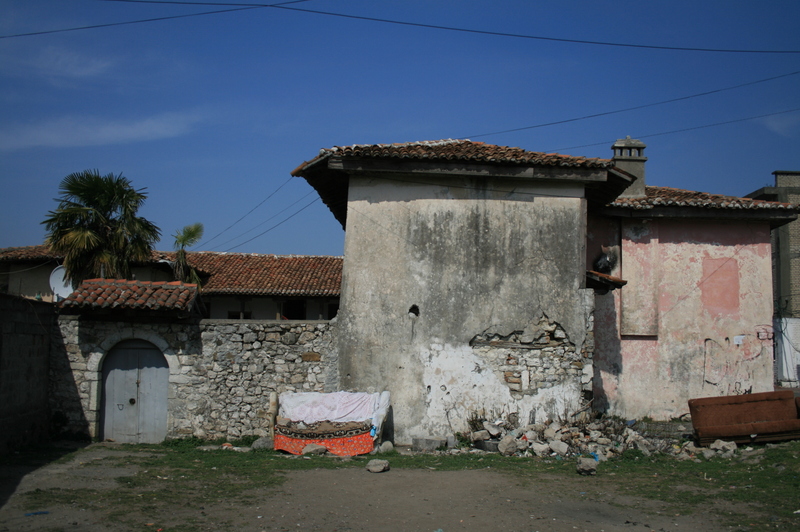 Shtëpia e Mlikajve // This Ottoman era home is the only remaining one in a neighborhood where they used to be common. It survived the earthquake and was briefly the city museum. Now it lies empty. 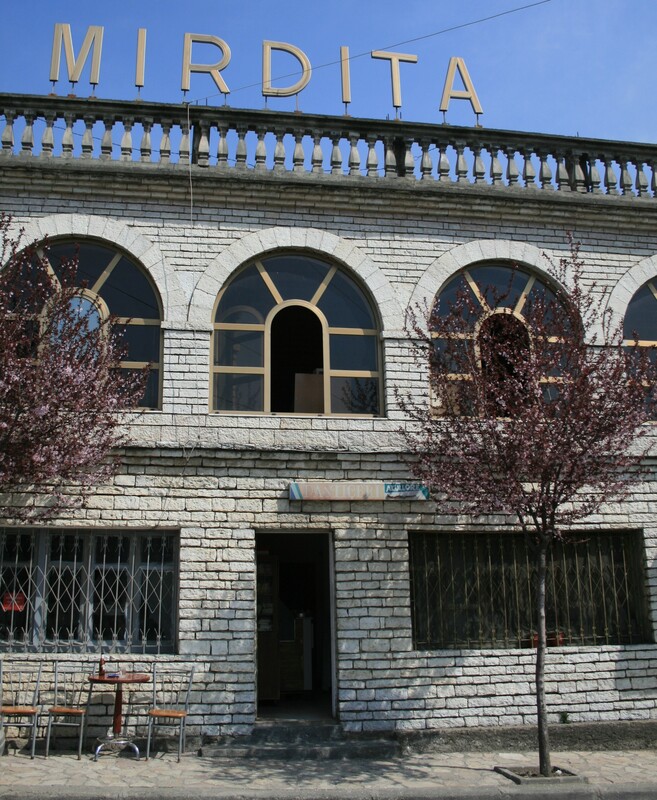 The Public Library (Biblioteka e Qytetit të Lezhës) // My home for my current SPA project, this 70s-era building is bright bright pink and has some wonderful geometric features. I used the line patterns around the windows on the second floor in the logo I designed for them (bottom right of this poster). I just love your pictures!!!! We are headed to Amsterdam for 2 weeks on Saturday – river cruise – can’t wait!! Hope my pics turn out as well as yours do!